NBEC 4235 is an MLW C-424 purchased from Canadian Pacific. It was sent to Montreal April 27, 2001 for repairs to its main generator. It was sent to IRSI in Moncton in December 2002 for new engine main bearings (for the crankshaft). It was fitted with rebuilt trucks in the summer of 2003. A connecting rod put a hole in 4235’s block in late 2003, and she was retired in February 2004. Her newly rebuilt trucks went under NBEC 4210 on February 6 2004. 4235 was used for parts. 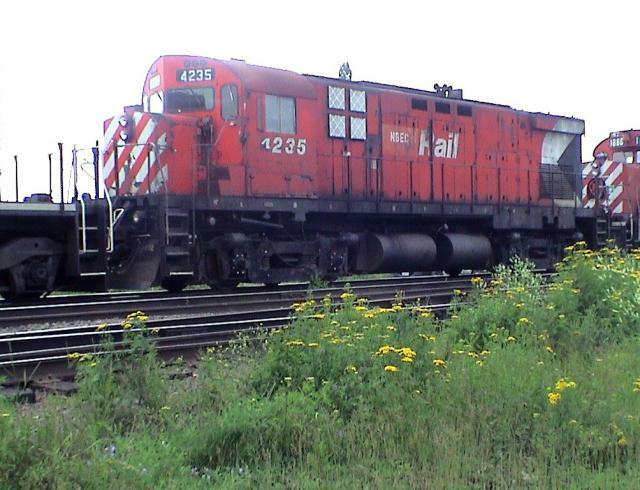 NBEC 4235 in Miramichi, July 22 2003. 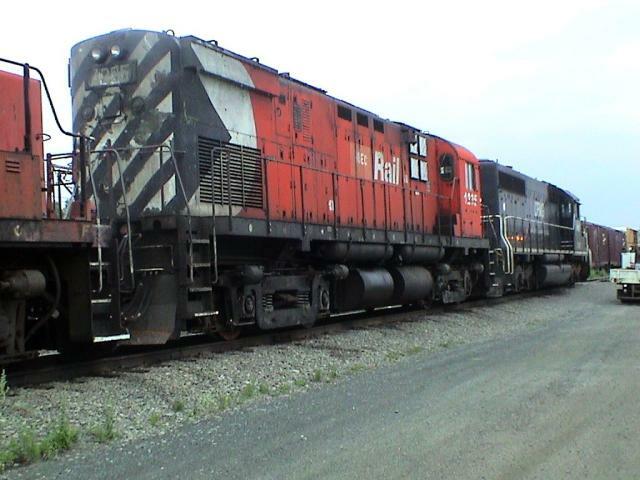 NBEC 4235 in the consist of train 403, Miramichi, 2003/07/22. Rites of Passage by Greg McDonnell, page 47, at Guelph Junction, Ontario as a plow extra, January 30, 1977.